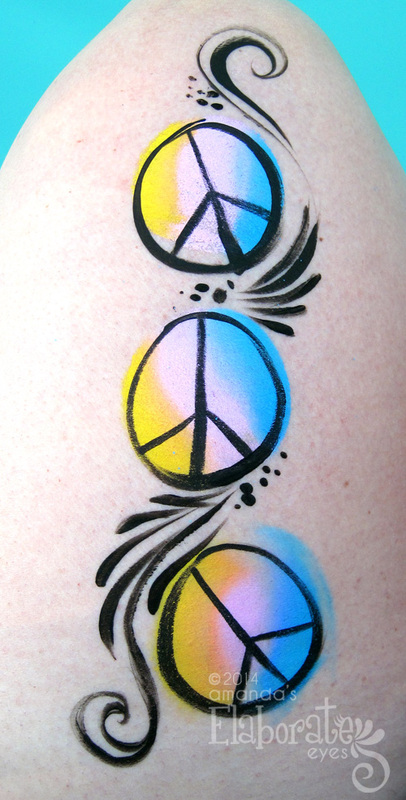 Hello there lovely people! 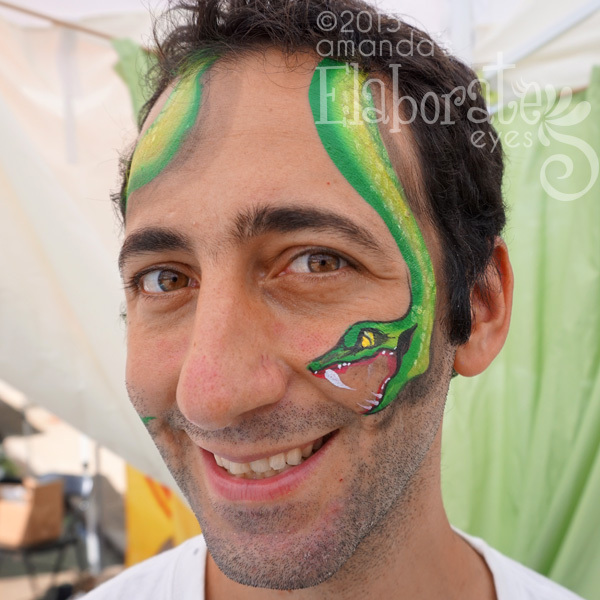 Today I wanted to share a few new pictures with you that have just made it into my repertoire. 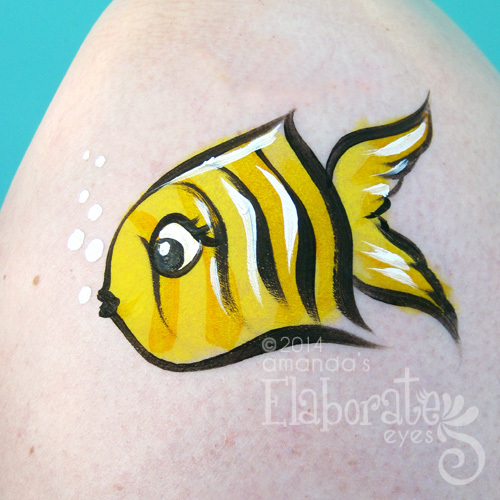 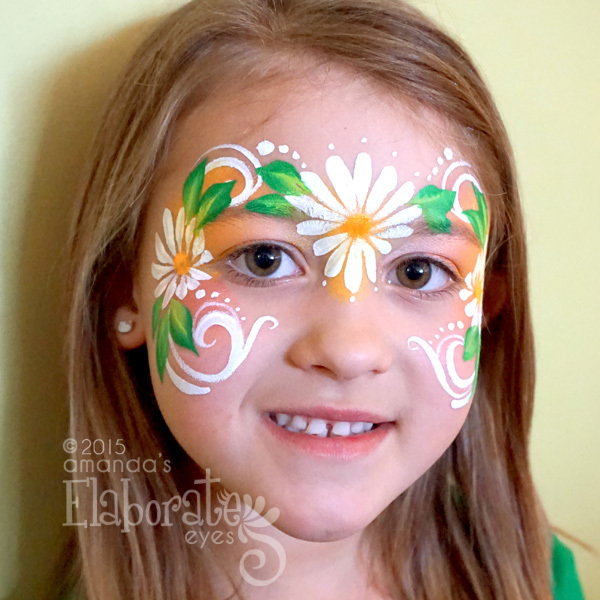 It’s not always easy to find little models to paint fancy designs on, but every once in a while I get lucky and find some adorable kids happy to be painted. 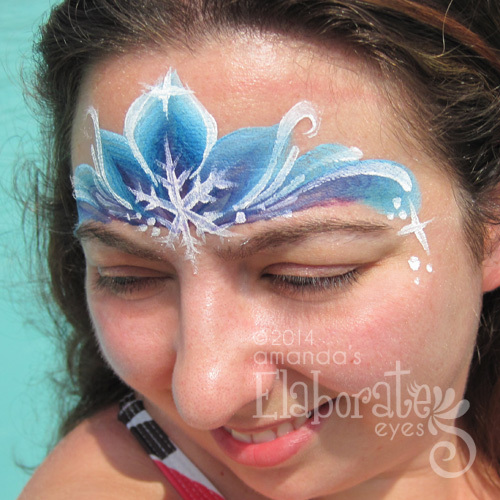 Other times, I’m working out new designs on my own mug, which don’t look nearly as cute in photos. 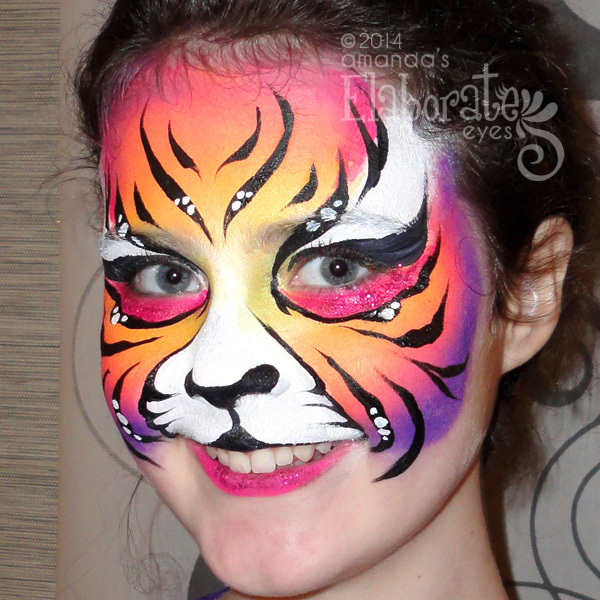 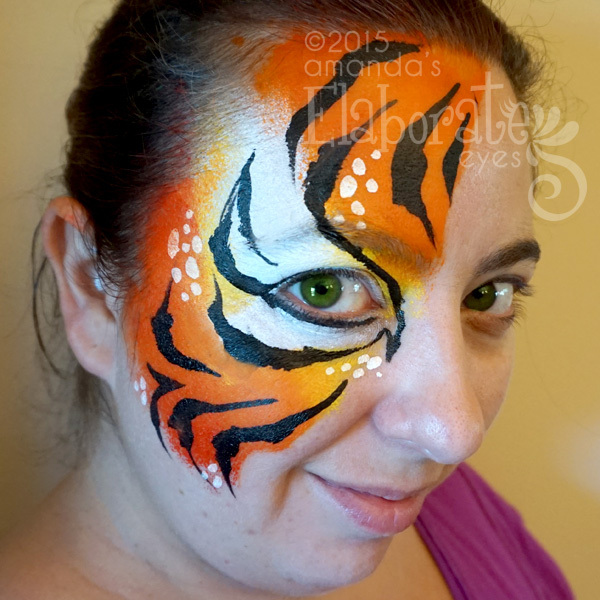 My cats are so used to seeing me in face paint it doesn’t even faze them! 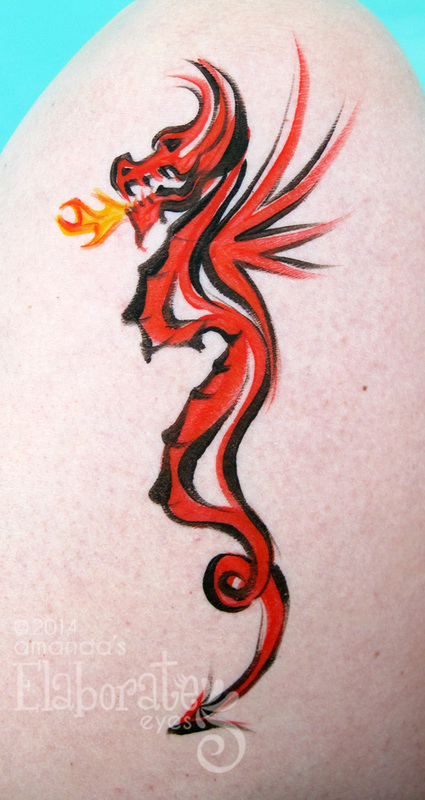 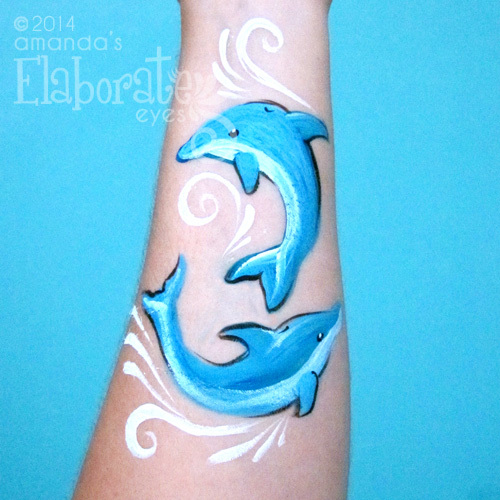 Here are a few of my most recent designs… hopefully I’ll get to paint one of them on you soon! 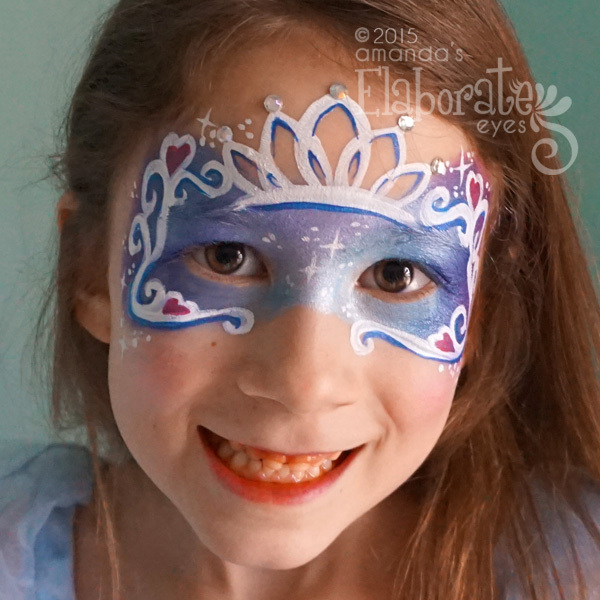 Are your kids constantly singing “Let it Go”? 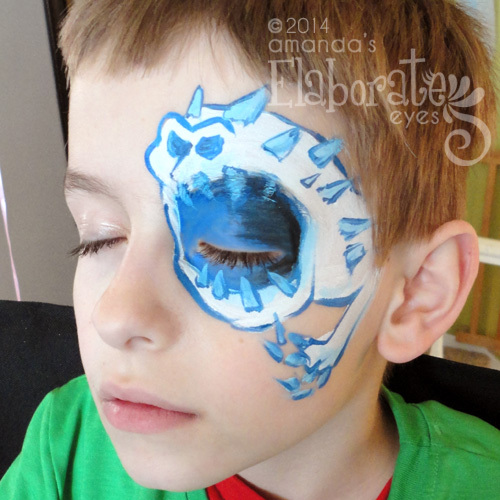 Is Olaf the new name of every stuffed animal in the house? 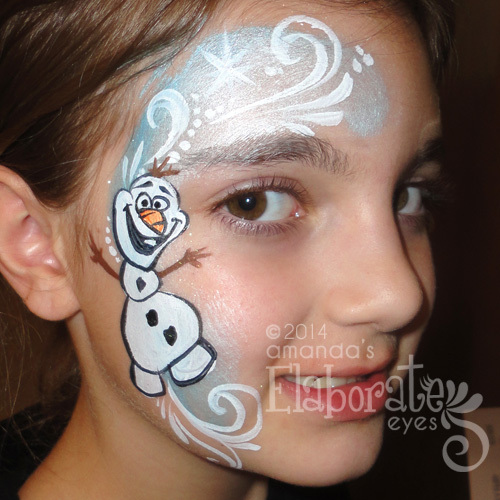 Have you been asked lately if you want to build a snowman? 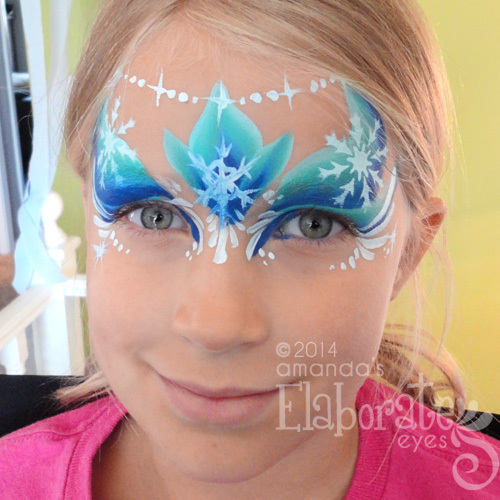 If you know what I’m talking about then your kids are probably just as obsessed with Frozen as my step-daughter! 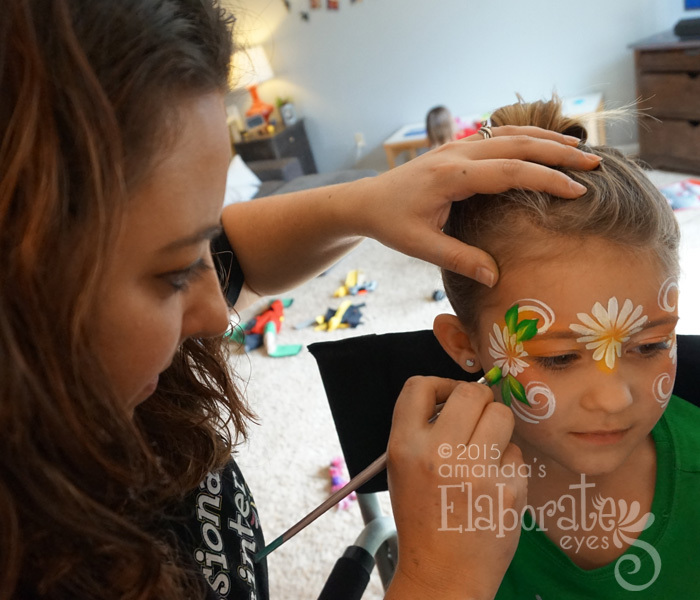 Well Elaborate Eyes is here to help! 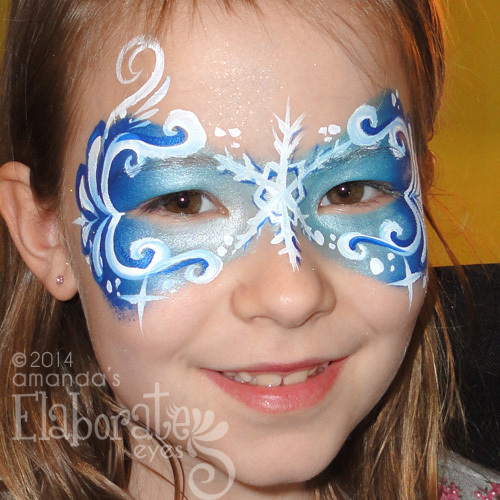 Plan a Frozen themed party for those sing-songy kids and I’ll turn them into ice princesses and snow monsters! 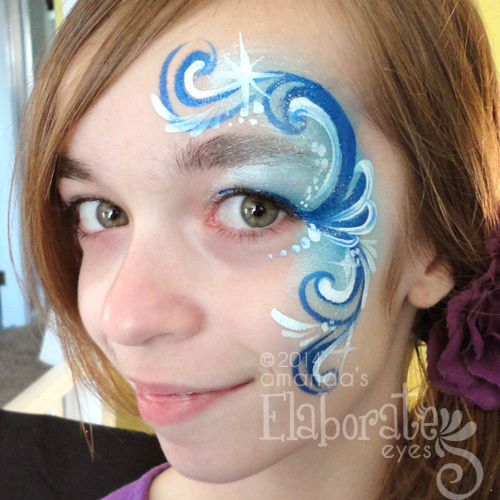 They’ll be the envy of ever kid on the playground when they show their friends pictures of themselves painted “just like Elsa!”. 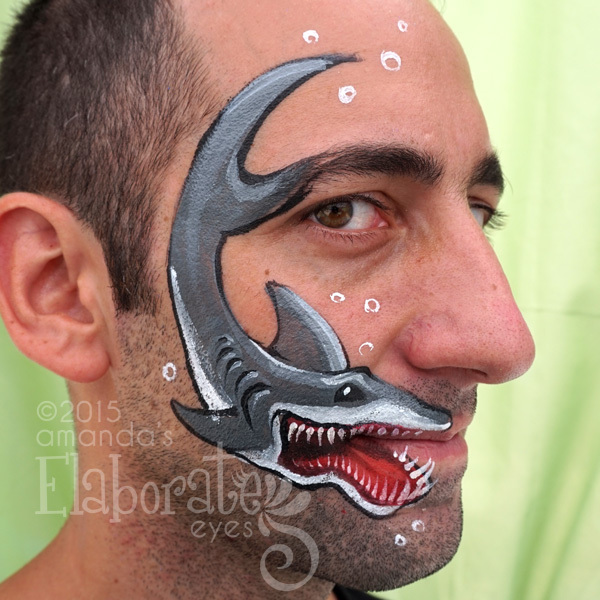 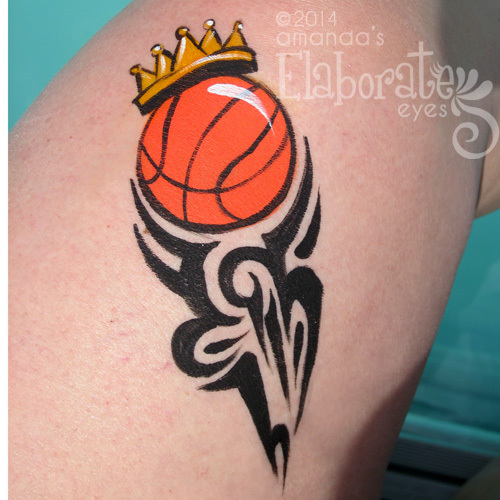 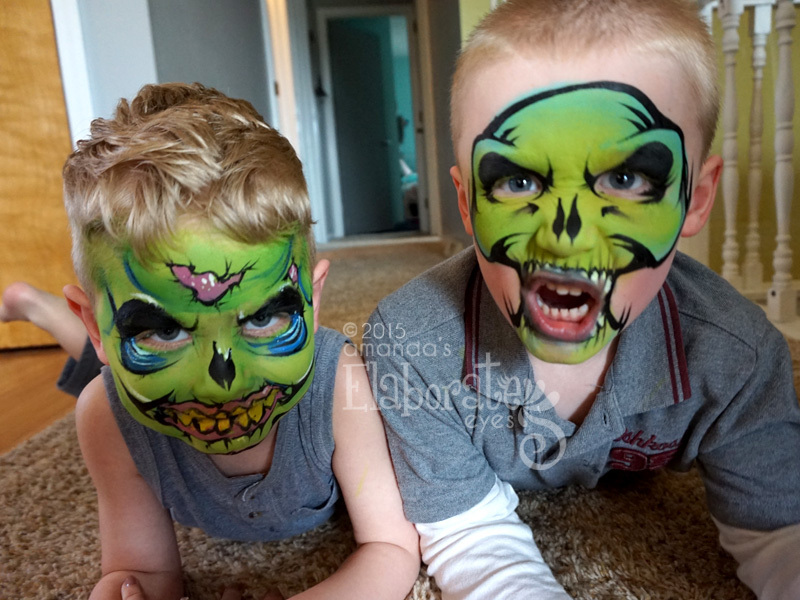 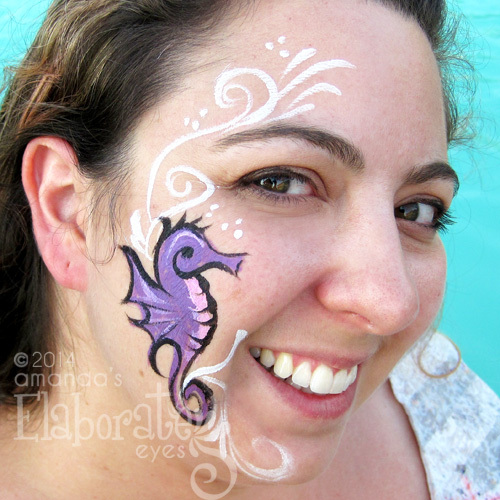 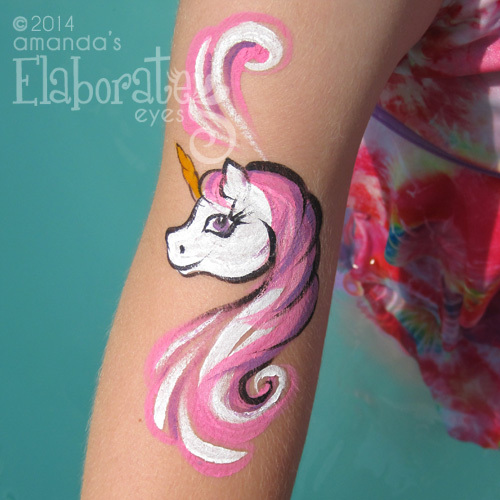 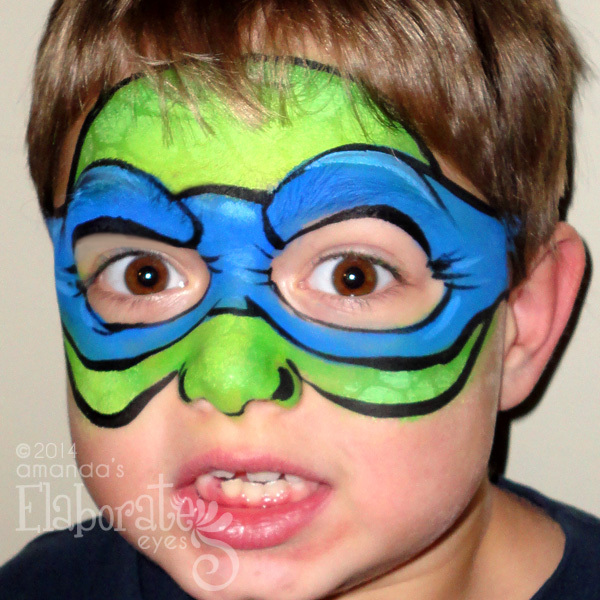 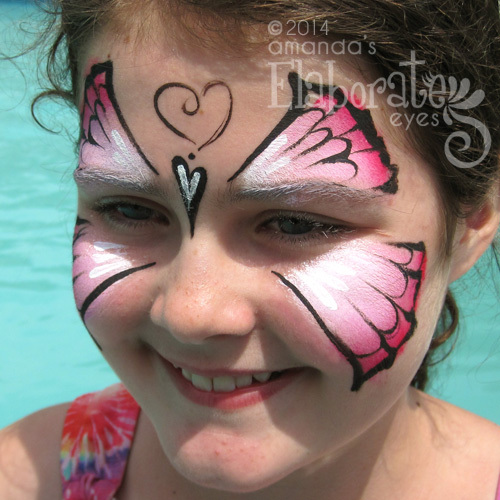 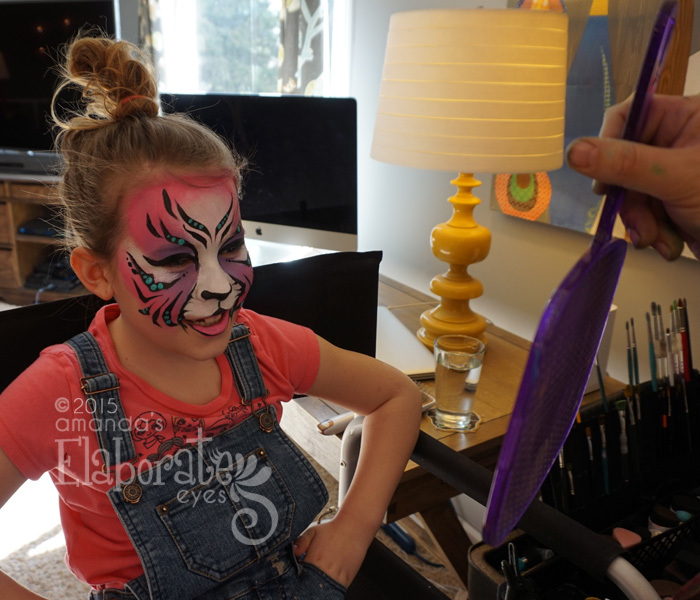 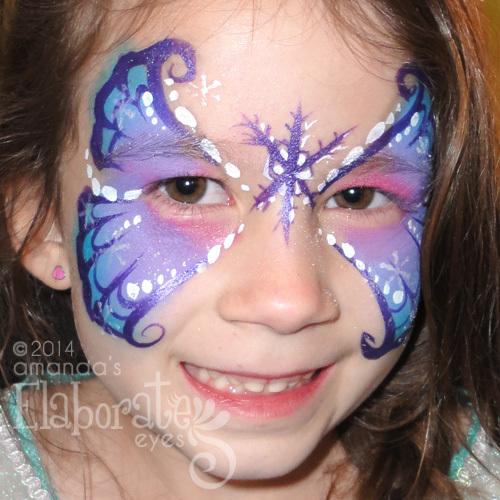 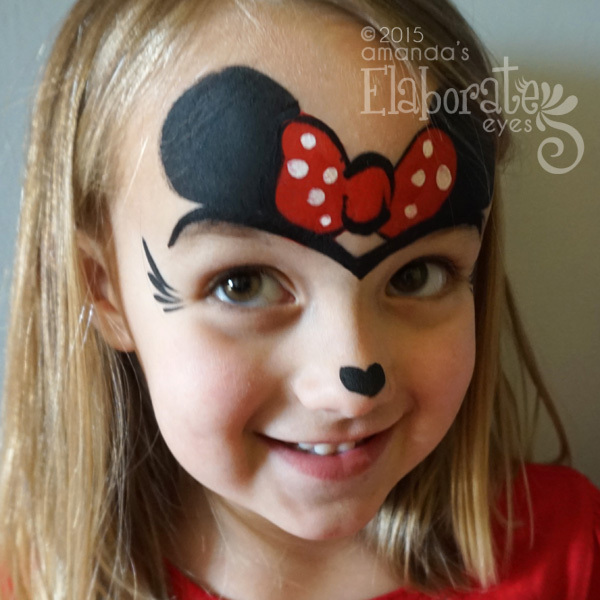 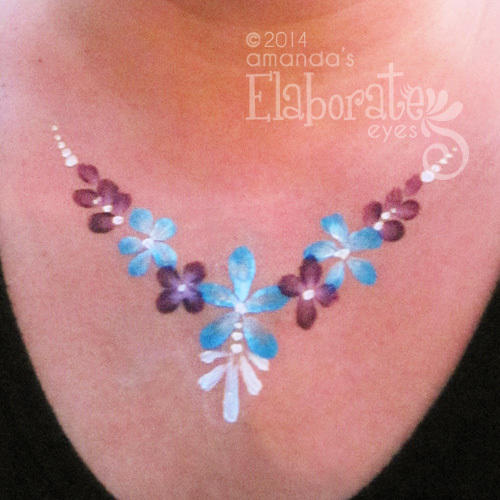 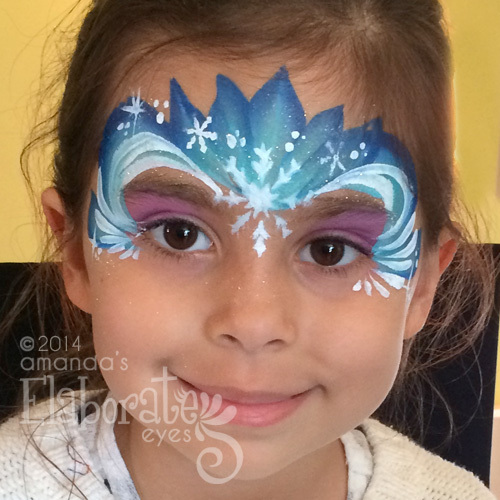 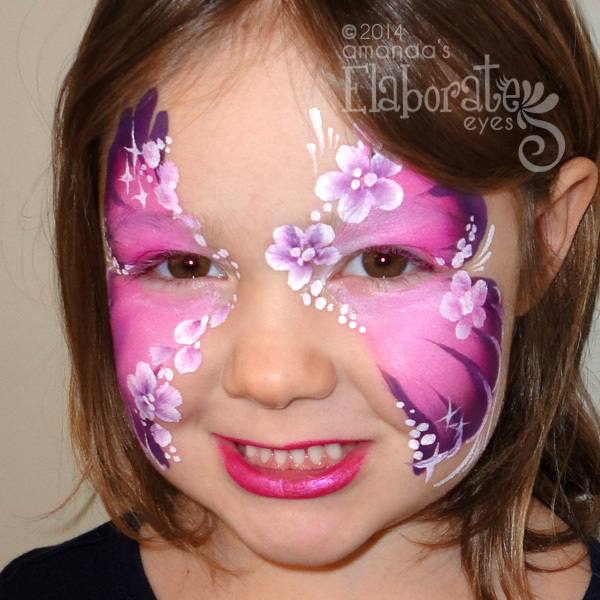 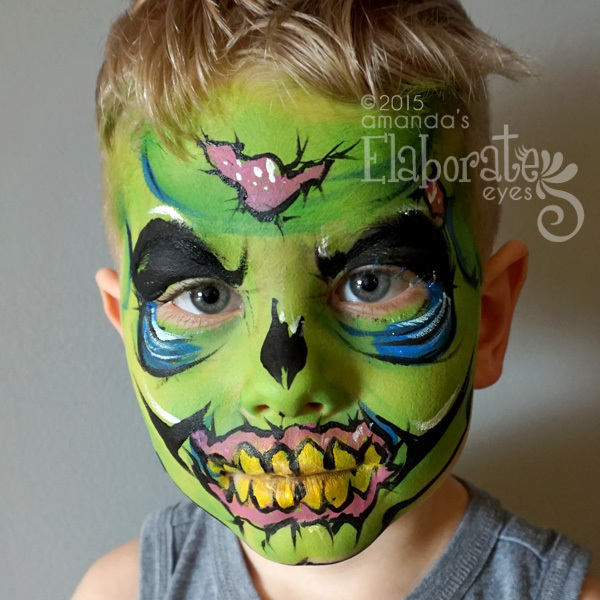 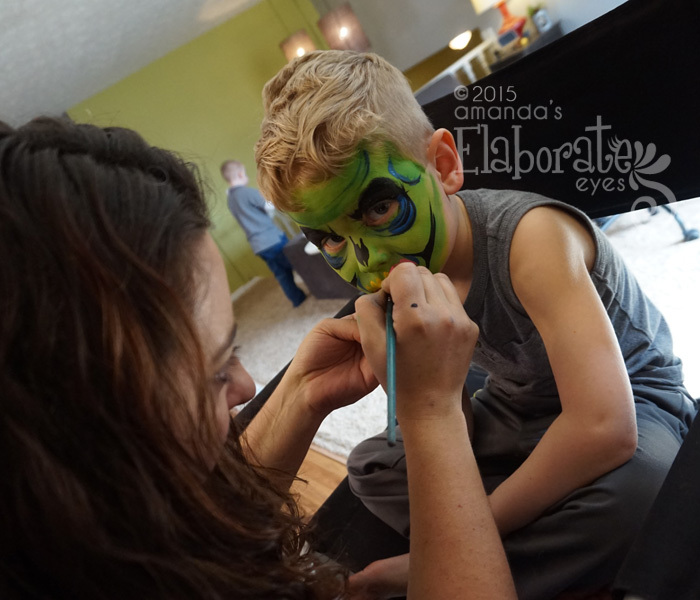 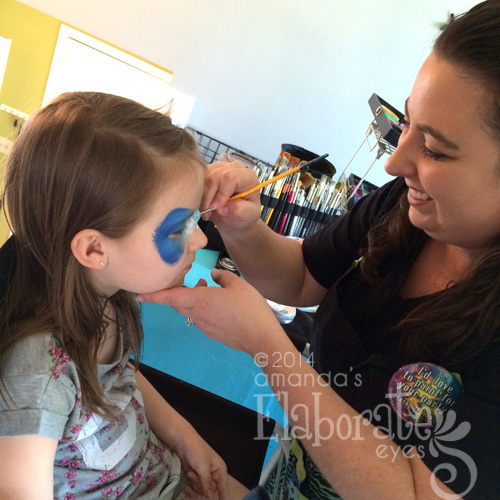 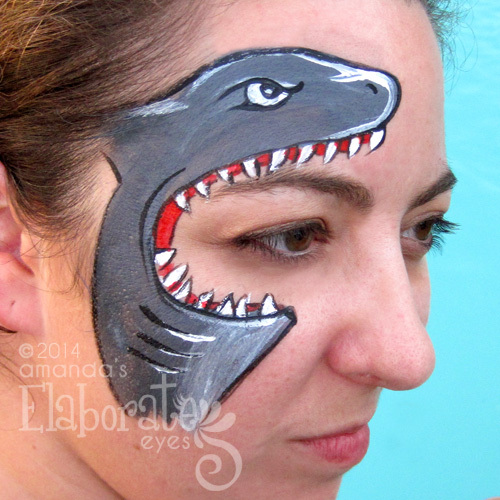 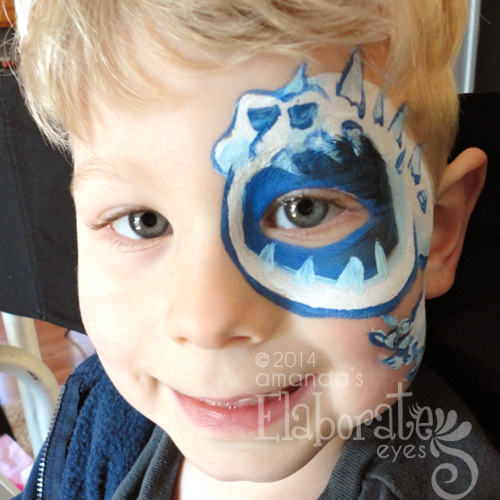 Check out my new Frozen face paintings, and call or email me to book your theme party!